My colleague has arranged for a special project for our Honors Physics classes. 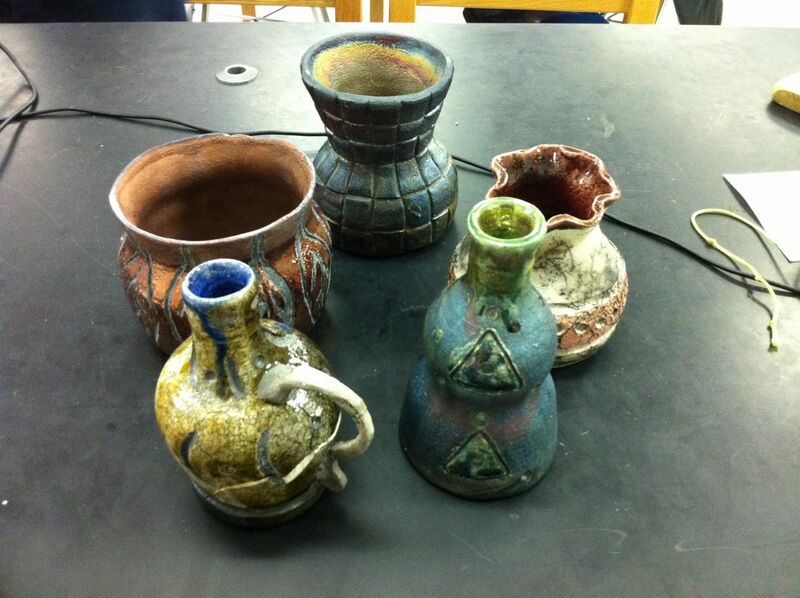 Over the next couple of months, they will have the opportunity to craft a ceramic piece and have it fired in the Raku process. To introduce the project we shared several examples made by a student in a previous year. I have three students in my class who have taken ceramics which will make it easier to manage this project since I know little. Really looking forward to this practical application of rotational motion!